View More In Parts & Accessories - Page 3. Stainless Steel Cross Blade Replacement for YOUR Magic Bullet Blender and all your blending needs. This Stainless Steel Cross Blade comes with its own unique gasket! We make no claims that these are original Magic Bullet products. We are not associated with Homeland Housewares LLC. STAINLESS STEEL Cross Blade Replacement Blade and INNER PLATE IS STAINLESS STEEL AS WELL! ALL NEW & DIFFERENT, You have not seen one like this before! This DOES NOT have a plastic PLATE! BETTER QUALITY & DISHWASHER SAFE! LONGER LASTING THAN THE PLASTIC PLATED CROSS BLADE! 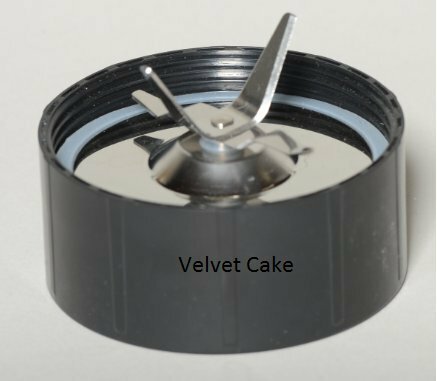 If you have any questions about this product by Velvet Cake, contact us by completing and submitting the form below. If you are looking for a specif part number, please include it with your message.